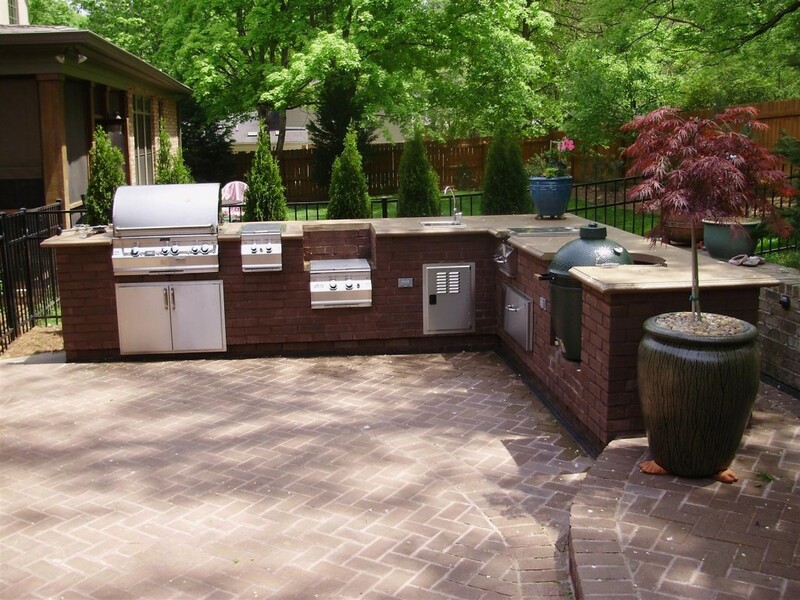 Maybe you’ll needs these inspirations of outdoor kitchen roof ideas to prepare your summer barbecue or other party events. 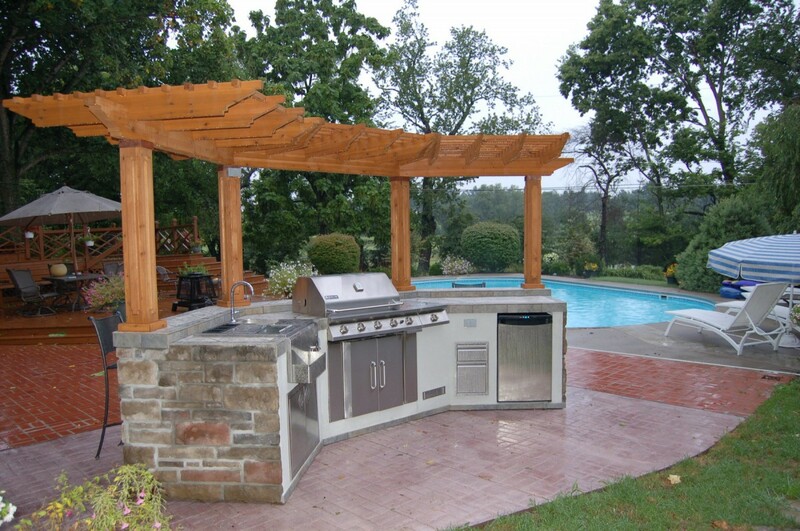 We know how outdoor kitchen is a special spot when it comes to gathering time. A beautiful garden backyard only isn’t enough in fact. 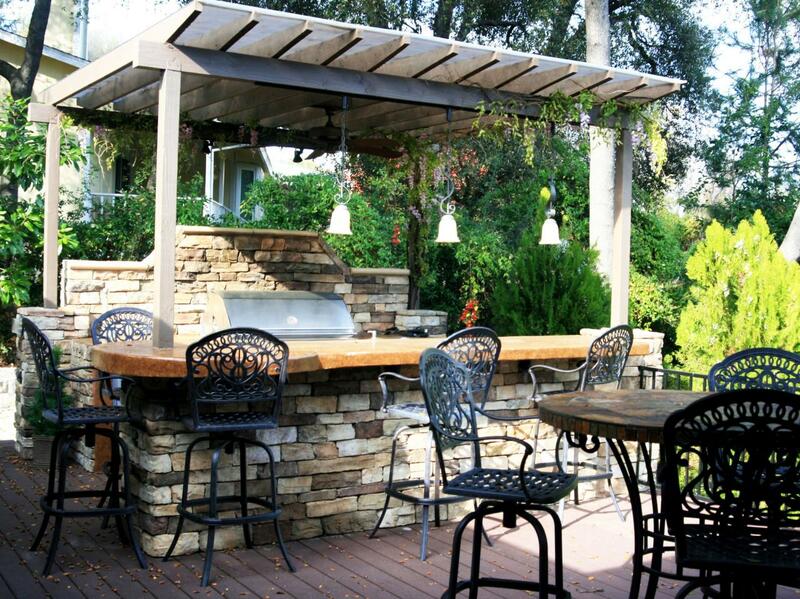 Check these collections of outdoor roof ideas for your kitchen so they are well covered. 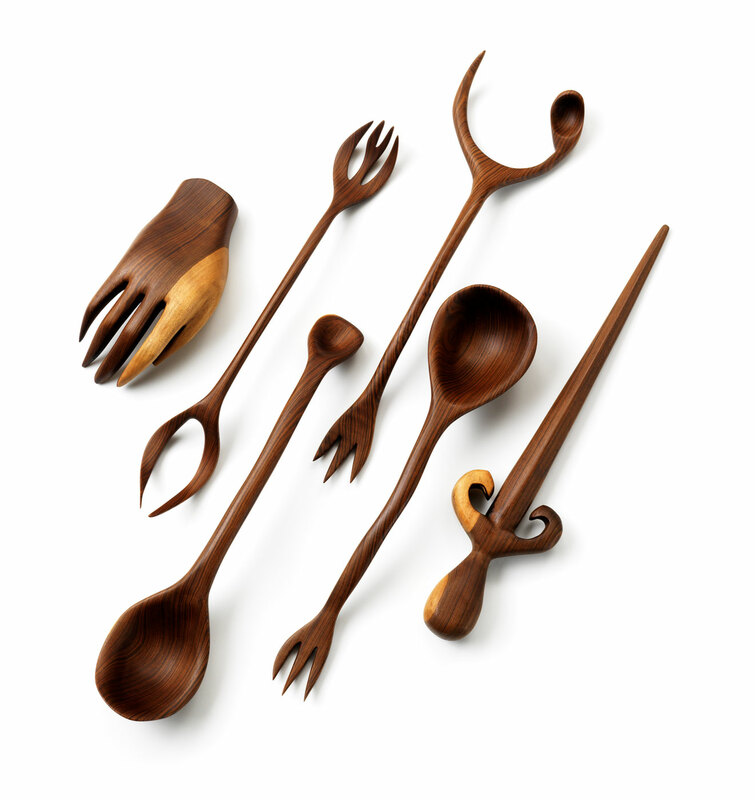 Some of them are more on decorative and some of them are so functional. 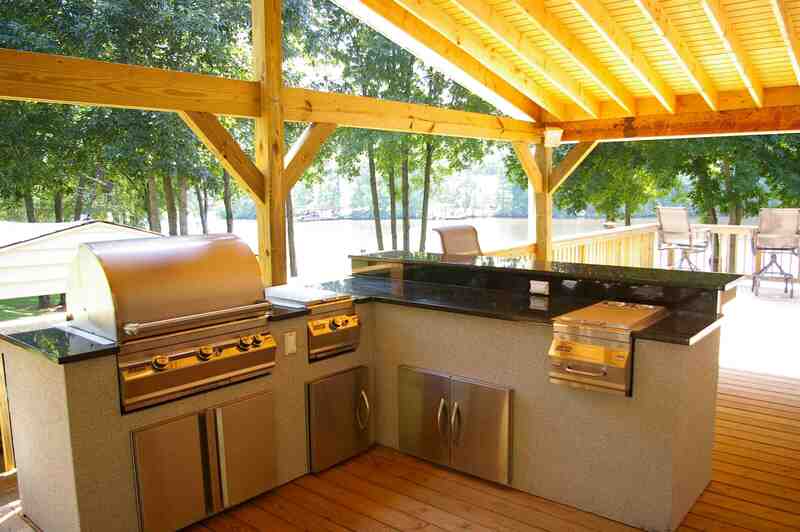 You can choose based on your outdoor kitchen type. 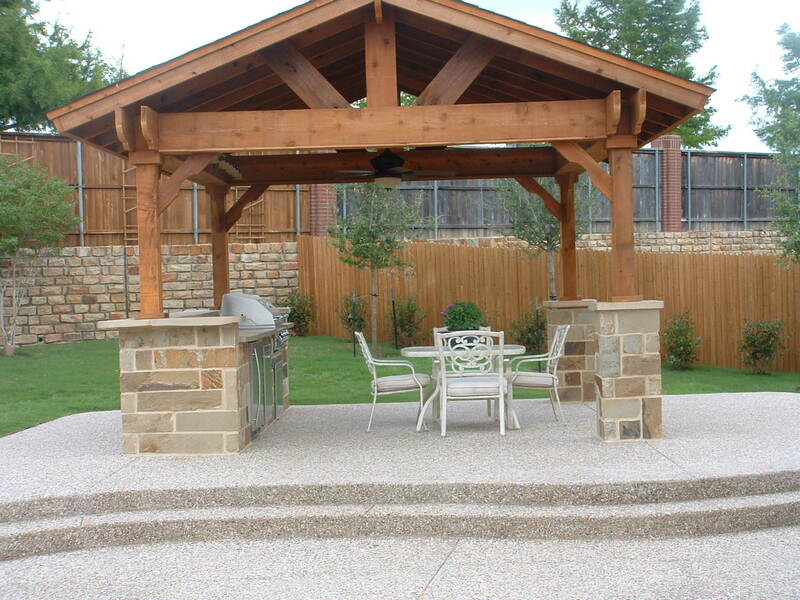 The roofs over outdoor kitchens can be in forms of pergola. 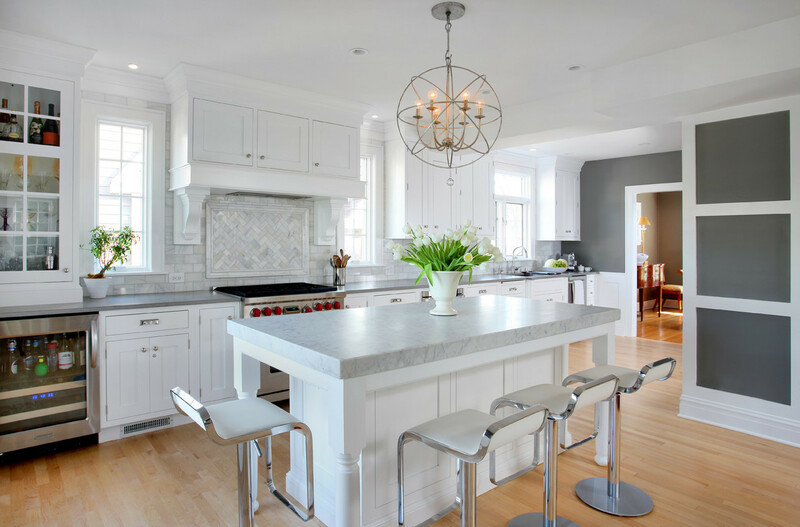 It’s decorative roof that’s quite good for open kitchen style. 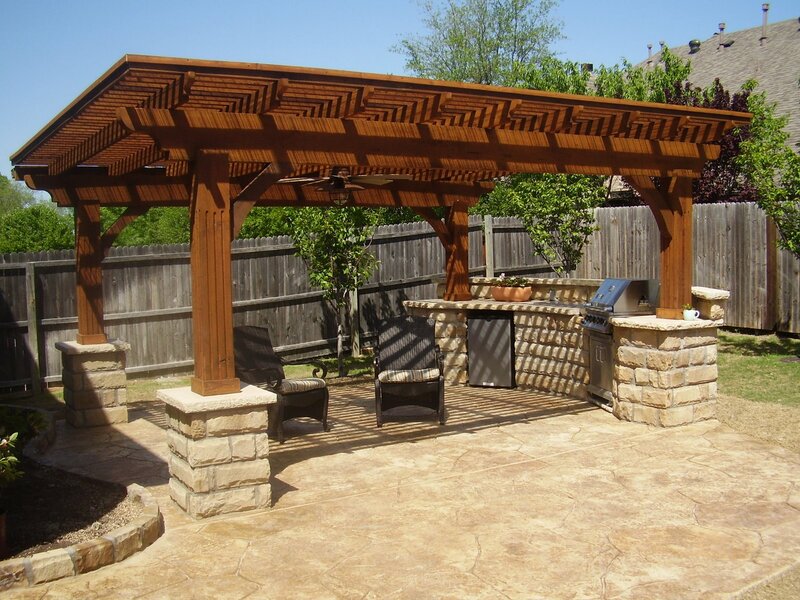 This roof is usually for Spanish outdoor style where flowers grow on the pergola. 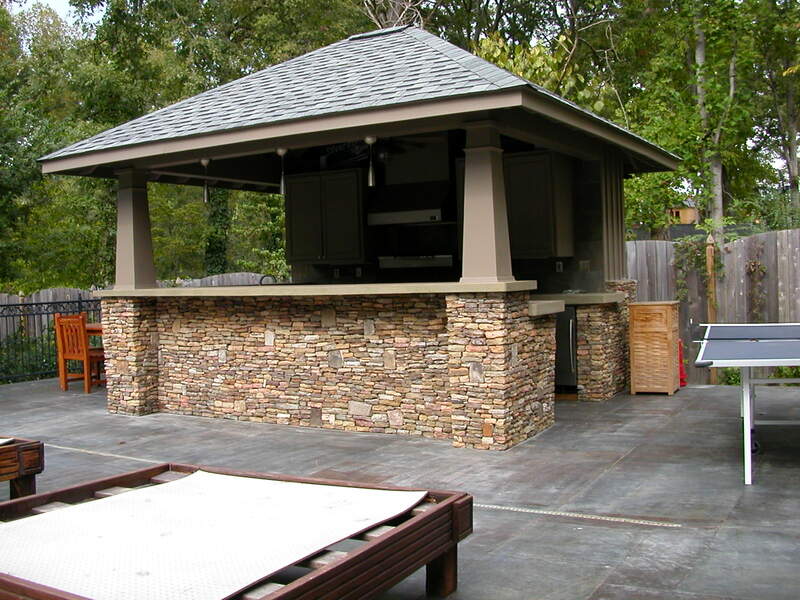 Covering outdoor kitchen isn’t only for protection function. 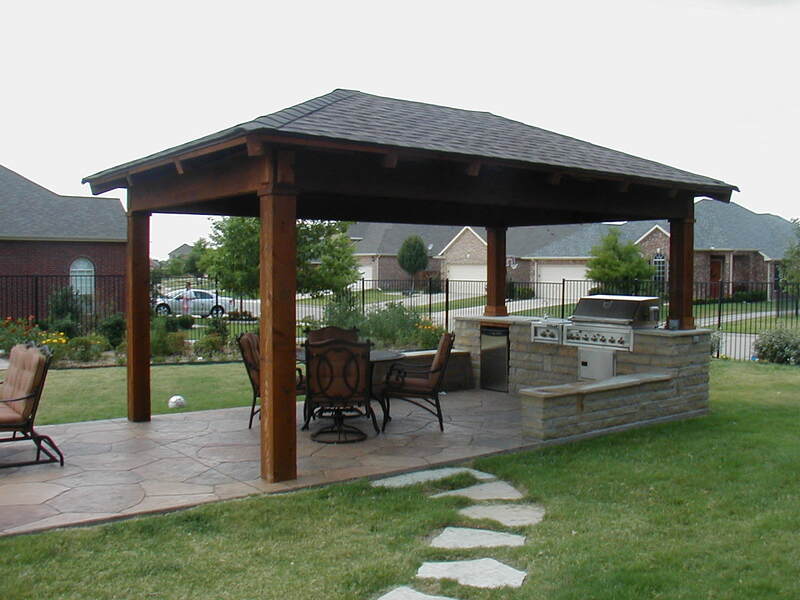 It’s also for aesthetic look just like this pergola roof. Simpler roof can be in form of awning. 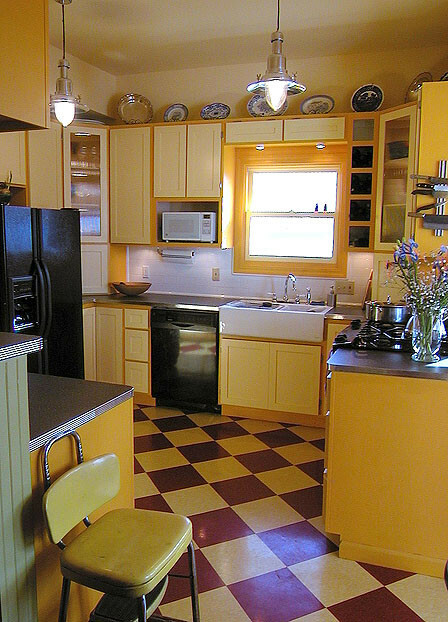 If the kitchen is located simply besides the house with small space, you better use this awning roof. 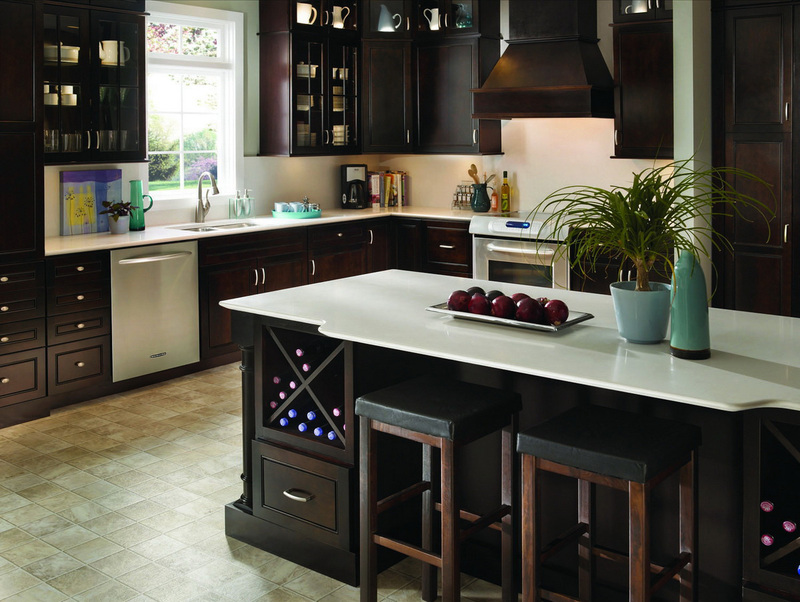 The roof model can be customized base on how you want it covering the kitchen. For eco-friendly choice, you can get solar shade awning. Choosing between attached roof and free standing roof is important, too. 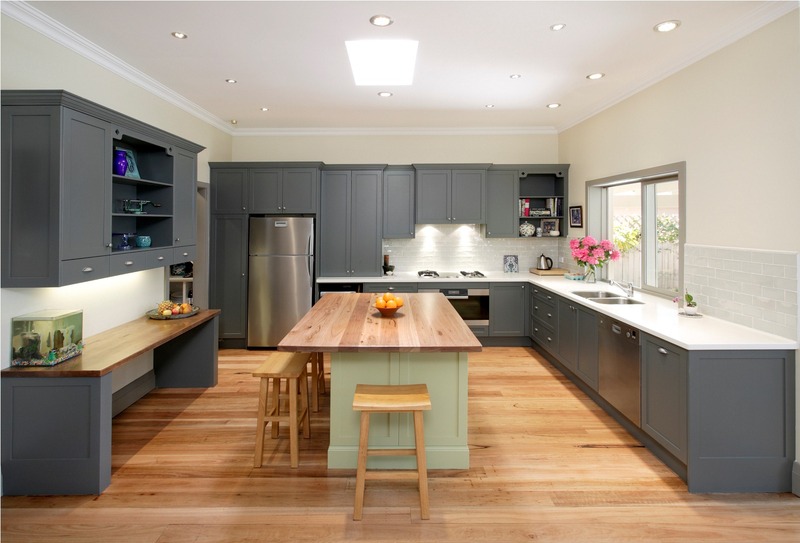 Consider to have free standing roof if the kitchen is movable. Umbrella roof is one of the practical outdoor roofs for movable kitchen. 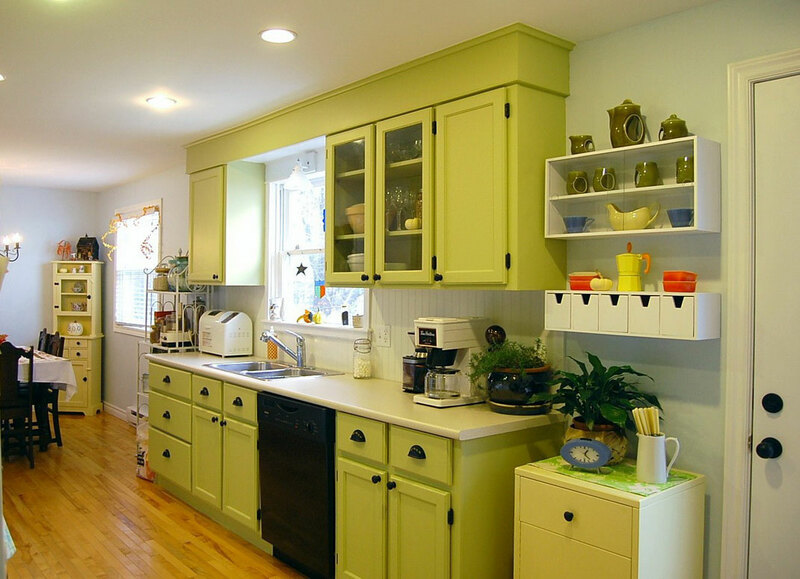 Built-in kitchen should have this especially if the backyard size is small. Although movable roofs are smaller, they are sturdy. 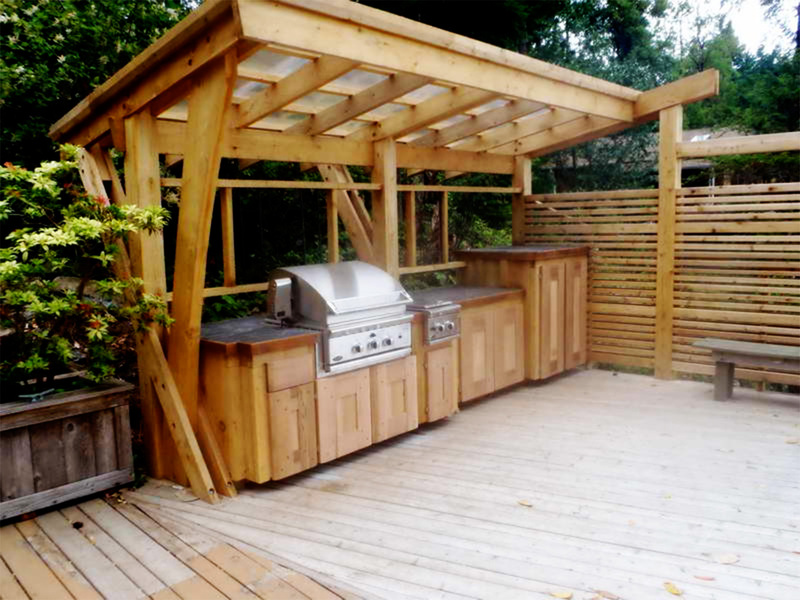 They can protect the outdoor kitchen from rain, sunshine, and all kitchen tools are covered, too. Covering porch should be used more solid roof materials. Usually the porch roof is built together with the building. 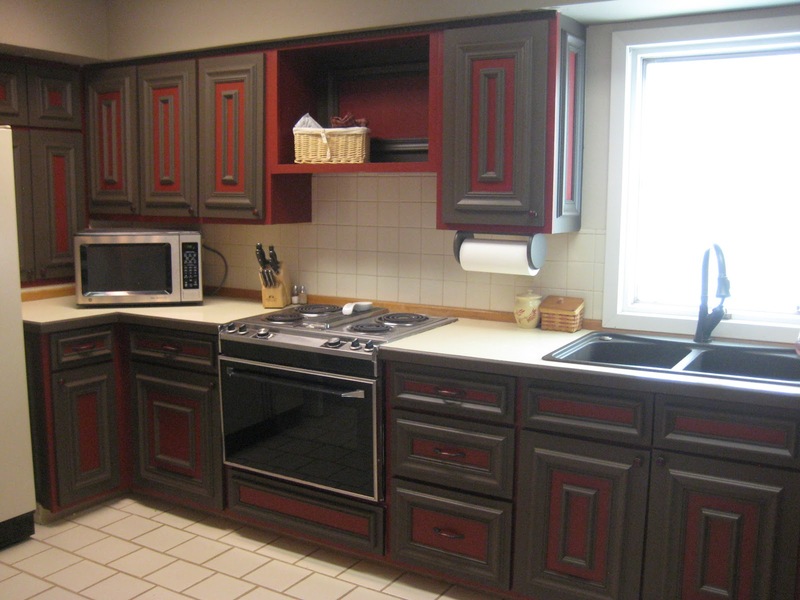 This is for permanent outdoor kitchen built separated from the house. 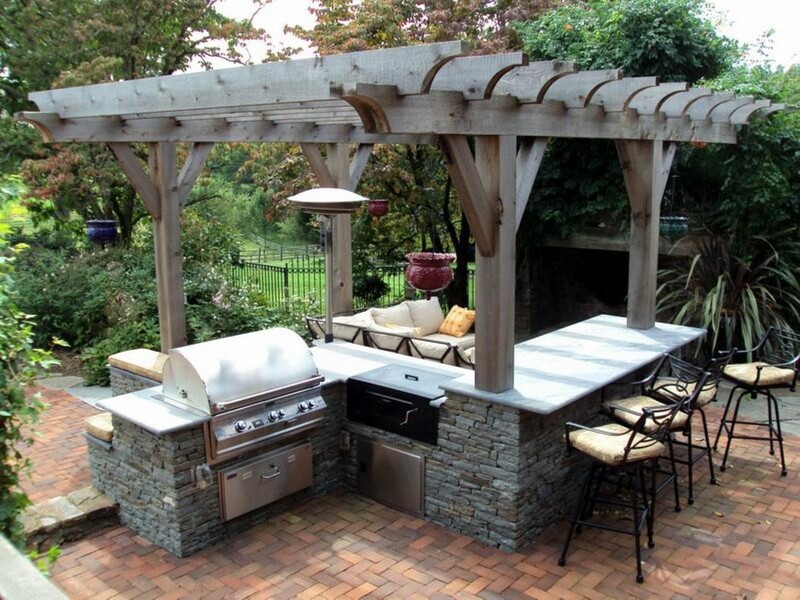 Consider about other things to set outdoor kitchen roof such as footing and column. 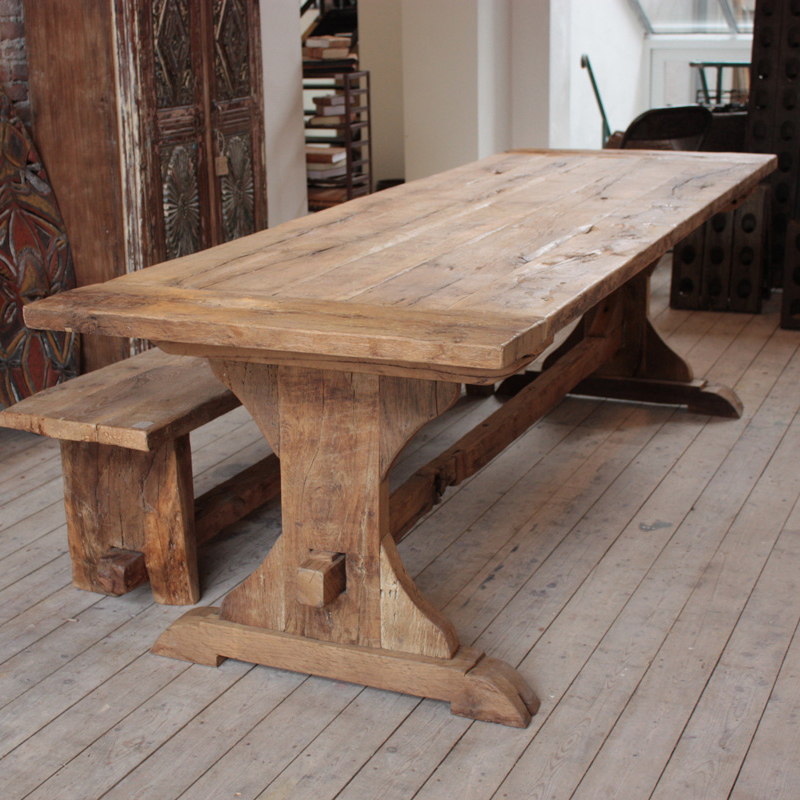 If the construction is heavier, you’ll need to set at least two supporting columns. 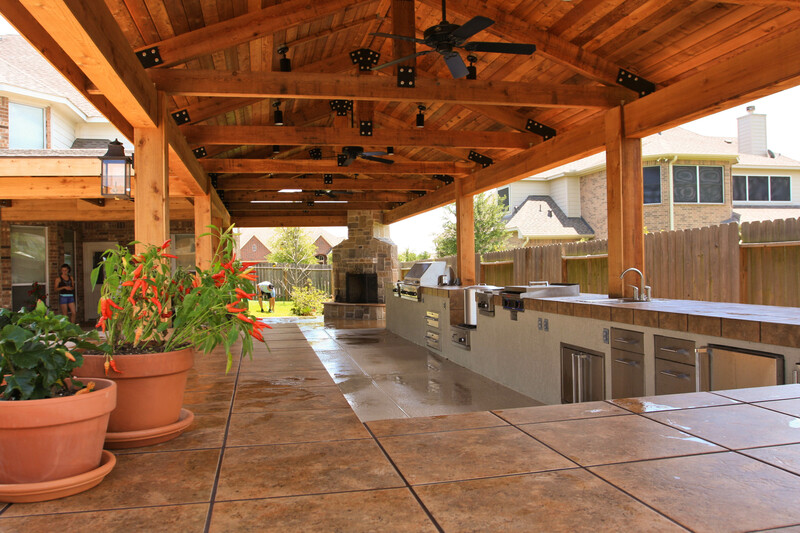 Outdoor kitchen designs with these styles need stronger and sturdier roofs.